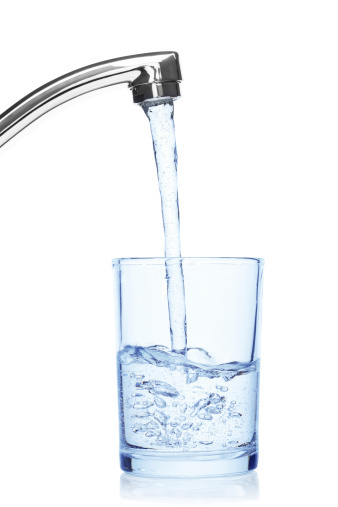 Home » Food and Nutrition » Do We Really Need Fluoride in Our Drinking Water? Just recently, a city in California decided to vote against a proposal to have the city’s drinking water fluoridated. The City Council of Davis was asked to vote on whether or not to add fluoride to their existing water supply and they rejected the proposal four to one. A number of issues presented themselves when it came time for Davis, California to vote whether it wanted fluoridation or not. One consideration was financial: it would cost the city a little over $300,000 to fluoridate the water treatment plant. On top of this was the considerable expense to fluoridate six deep wells found throughout the city: by some estimates upward of $2,000,000. Add nearly $200,000 in operation and maintenance costs, and it’s not hard to understand why some people in Davis began questioning the whole process of fluoridation. Another trigger issue that likely turned votes against fluoridation was the adverse effects of fluoride both on human health and in the environment at large. One of the biggest concerns of the citizens was the potential for developing fluorosis. Fluorosis is caused by overexposure to fluoride. The condition causes teeth to discolor (stains can appear ranging in color from yellow to brown). Fluorosis can also trigger pits and other surface irregularities in the teeth. Children between the ages of 12 to 15 are most likely to come down with fluorosis. Along with fluorosis, overexposure to fluoride may affect the brain. Some evidence suggests that when fluoride accumulates in the brain, it could act like a neurotoxin. Too much fluoride in your brain may result in negative changes in learning and behavior. Even the National Research Council has weighed in on the issue stating that there’s enough clinical evidence to warrant more research on the effects of fluoride on intelligence. Fluoride may also adversely affect thyroid function. Fluoride overexposure could trigger hypothyroidism. Those suffering from hyperthyroidism experience a number of clinical symptoms including depression, fatigue, weight gain, higher cholesterol levels, and heart disease. One other possible concern is the suggestion that fluoride may be linked to arthritis symptoms. So-called skeletal fluorosis is a highly prevalent disease in India, where it attacks the bones and joints of millions of people. Fluoridation is something most of us accept without questioning. We have been told that fluoride in our drinking water protects our teeth from decay. It’s time to take a closer look at the process of fluoridation and decide whether or not this chemical poses any health threats. You might want to also consider the fact that only Ireland (73%), Poland (1%), Serbia (3%), Spain (11%), and the U.K. (11%) fluoridate their drinking water. Many developed countries and 97% of the western European population, don’t drink water that’s fluoridated. So why do we? “Davis, California, City Council rejects water fluoridation 4-1,” Natural News web site, Oct. 7, 2013; http://buzz.naturalnews.com/001029-water_fluoridation-Davis_California-public_health.html, last accessed Oct. 9, 2013. Nasman, P., et al., “Estimated Drinking Water Fluoride Exposure and Risk of Hip Fracture: A Cohort Study.” J Dent Res. Oct 1, 2013. Liang, C., et al., “Research on the relationship between populations’ long-term exposure to fluoride in drinking water and bone fracture in China].” Wei Sheng Yan Jiu. Sept 2001; 30(5): 287-93.